Fast growing hedges is something many customers often prefer. They host numerous benefits, the foremost being the availability of the privacy of a tall, thick hedge in a small amount of time. The Derwen Wholesale hosts a wide variety of these fast-growing shrubs in all sizes. We also stock bare roots, root balled and pot grown shrubs so you can have the ease of planting your privacy bushes however you want. This guide will help you learn more about the fast-growing hedges. Why Choose Fast Growing Hedges? Fast growing shrubs are a great way to set up a fully formed garden feature by investing less time, money and effort as compared to other hedging plants. Most of our customers are either on a tight budget or not professional gardeners. In some cases, even both. The fear of planting a hedge on their very own and/or crossing the budget is a serious concern. Fast growing hedges are perfect for budget-conscious, and/or beginners. We meet these concerns with our fast growing hedges that are able to grow to the customers’ desired height in no time. Despite their quick growth rate (about 40 – 60 cm per year), they require minimum maintenance—they need pruning only once or twice a year. They are ideal for privacy. Apart from saving time and money, these speedy hedging plants are great for providing privacy quickly and effectively. Most of the fast-growing species can reach up to 5 metres and create a barrier that protects you from excess noise, wind, and nosy neighbours. Laurel; the fastest growing, non-conifer privacy hedges, laurel which is also one of the cheapest, these bushes grow up to 60 cm (2ft) per year. They are evergreen, so you don’t have to worry about the lack of privacy during some seasons. This species is tough and can grow in most soils except very wet or shallow chalky soils. It is probably the best evergreen fast-growing hedge to grow in shade. We offer the common laurel in rootballed, barefoot, potted (various sizes) forms. We also provide pallets of potted and rootballed Laurel. Leylandii (Green); this is the fastest growing hedging plant and grows up to a metre annually. Like Laurel, it is also an evergreen conifer and is the cheapest, too. It creates a tall and dense hedge quickly, can withstand cold temperatures (as low as -25°C) and is very tolerant to wind and dust. For best results, it should be trimmed to a moderate height so that the dense leaves are kept at the bottom. It is also easier to maintain them this way. We have green leylandi (Leyland Cyprus) in potted form, in potted pallet and in a spiral shape. Leylandii (Gold); The Castwellan Gold is a beautiful, evergreen hedging plant that grows up to 75 cm per year in ideal conditions. Like its green counterpart, this is also extremely fast growing and hardy. 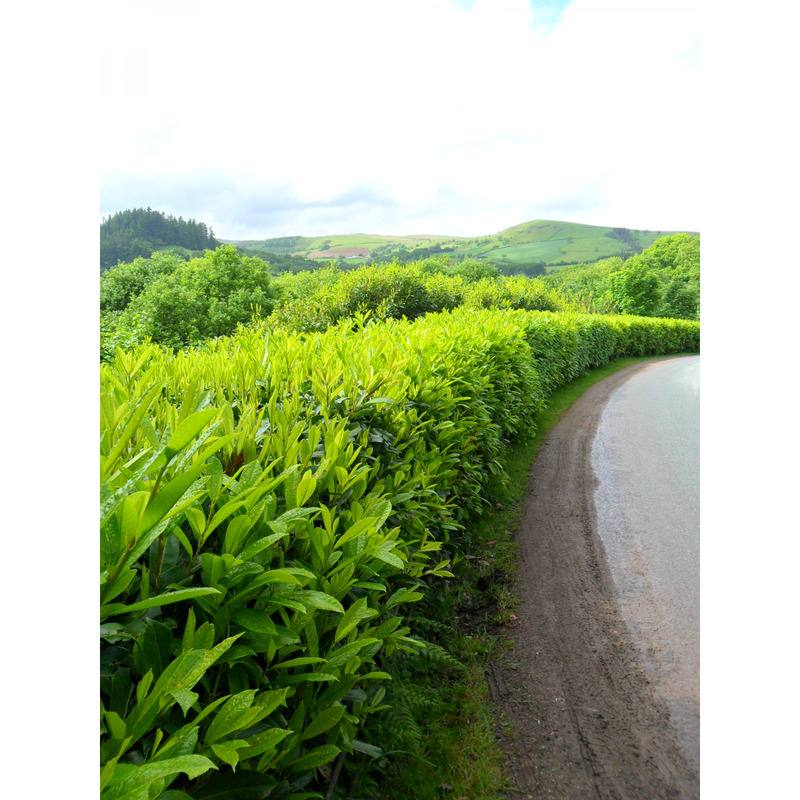 It can weather tough conditions and creates a reliable, thick hedge. The leaves of the shrub are lime-green in the autumn and yellowish-gold in the summer and spring. They may turn bronze in the summer. It grows in almost all types of soil except waterlogged. You can find the Castwellan Gold Leylandi in potted and potted pallets at Derwen Wholesale. While these three are our most popular fast growing hedging plants and a great place to start, there are other bushes that have a quick growth and are evergreen. For example: Red Robin, which has beautiful red leaves in its early growth, Western Red Cedar, which is tolerant to shallow chalk soil, and Pyracantha, whose thorny edges provide greater security, and the beautiful orange and red berries and the bee-friendly flowers provide aesthetics. For more information from our expert staff, please give us a call at (01938) 553015 or send your query here. Already made your choice? Shop online and buy your own fast growing hedge.